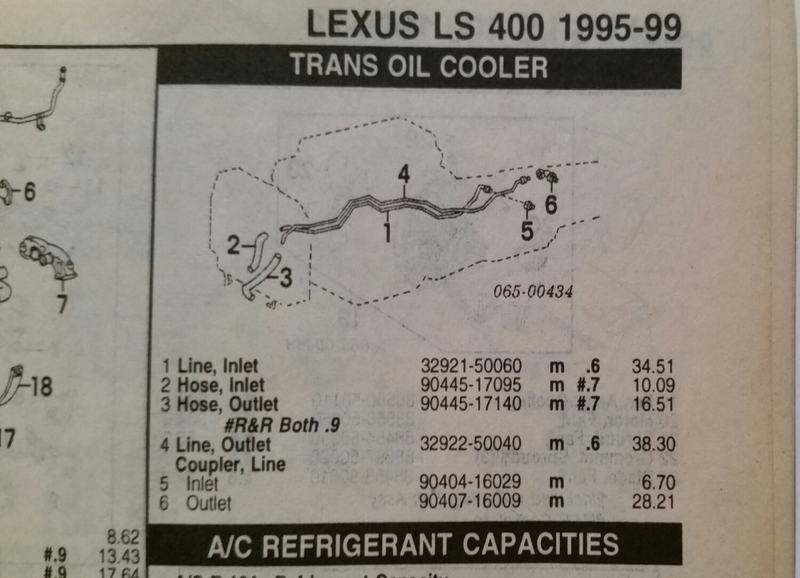 '98 LS adding a trans cooler. 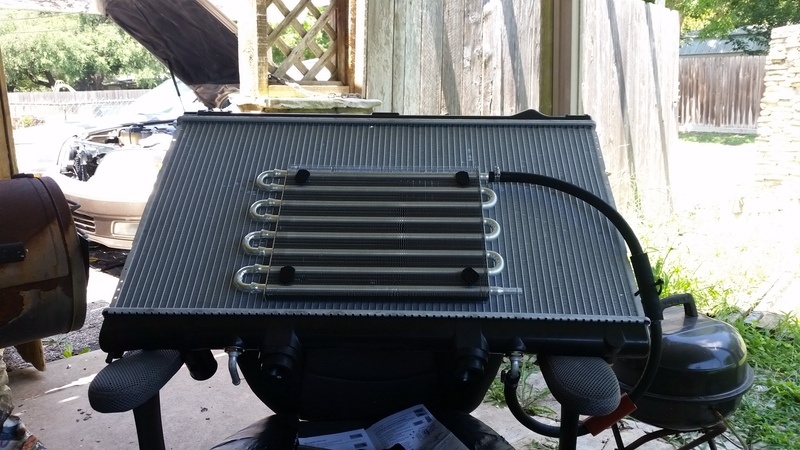 While putting in a new radiator I decided to add a trans cooler (Hayden 1405) already purchased. I'm considering the in-series method thus utilizing the coolant radiator and the separate trans cooler. Question is does anyone know right off which hose from the transmission is the out and in? Driver or passenger side? I don't want to start it yet because haven't added coolant yet or that would let me know. these cars already have transmission coolers, are you towing things or something? I live in South Texas, it's hot here all year and anytime you can drop a transmissions temp it is a good idea. 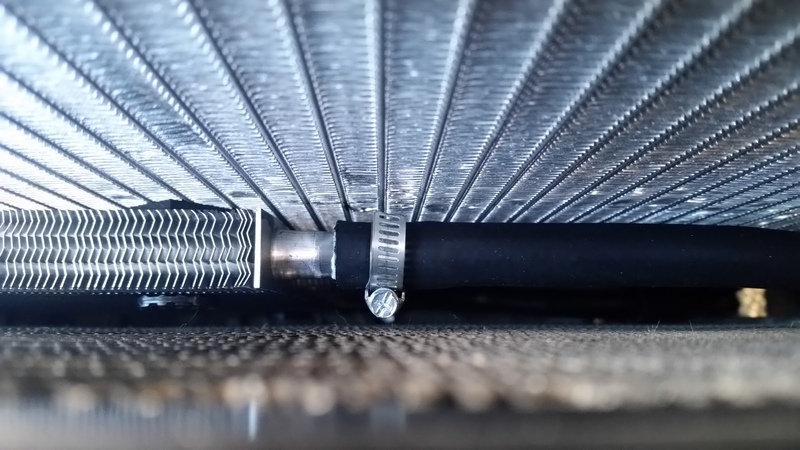 Cooler trans temp equals longer lasting. 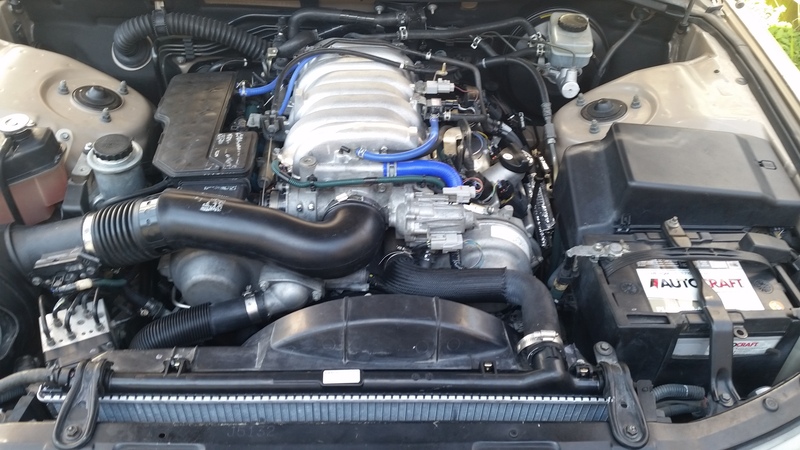 i have a buddy who was in dubai and there over 100 degrees most of the year, he has almost 500k on his us spec ls400 with ac on 100% of the miles, these cars are hard to kill stock and went thru harsh conditions in there research. Are you 100% on this? I've been searching to Web for a flow diagram and haven't found anything. I'm finished installing the cooler and started it up and the drivers side seemed to get warm earlier than the passenger side. I have an in line filter to add but need to verify flow first. 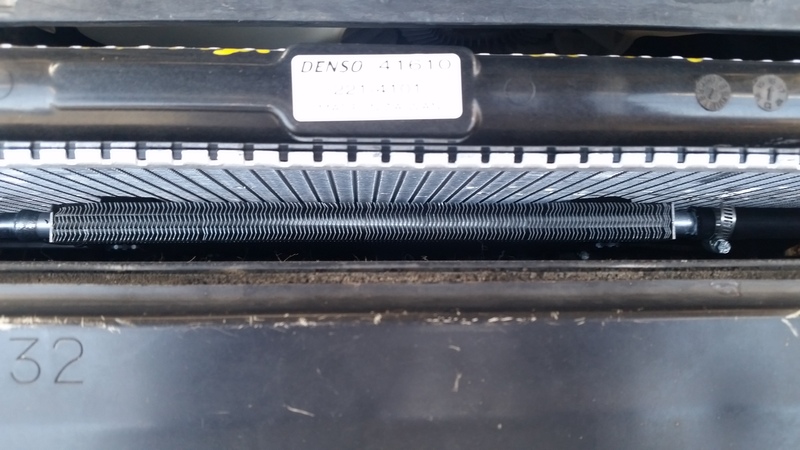 I've finally found my service manual and added a photo of the transmission cooler lines. According to the manual, the driver side is the OUT to cooler. That explains why it got warm first when I started the engine. Also I want to thank the members that gave their opinions. I slid some larger hose over the hydraulic lines where it will come in contact with the side of the engine radiator and other parts of the car. 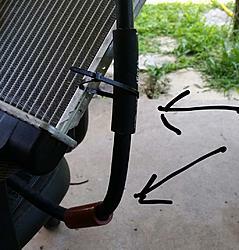 It fits between the condenser and radiator just fine but only 3mm clearance for the hose clamp heads but that's enough. 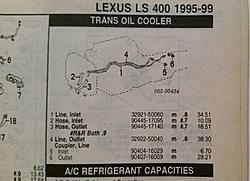 Quick Reply: '98 LS adding a trans cooler.